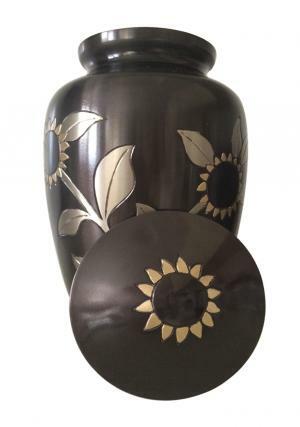 Black Pewter Sunflower Brass Adult Urn for adult Ashes enhances the life vitality and is a wonderful choice to honour your loved one. 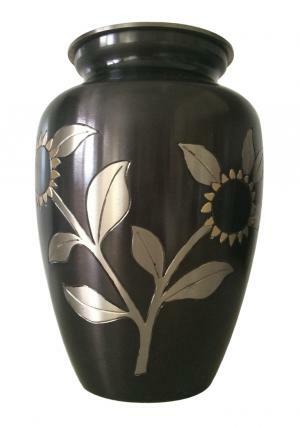 The Black Pewter Sunflower Brass Adult Urn for Ashes is a traditionally shaped urn that opens with a threaded lid. 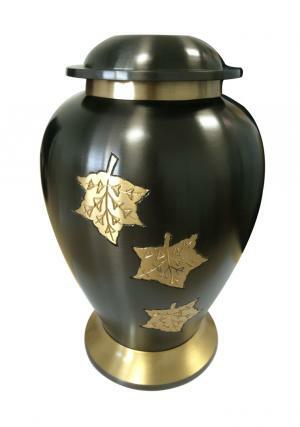 This cremation urn is made of solid brass with elegant finish by skilled artisans‚ engraved by hand. 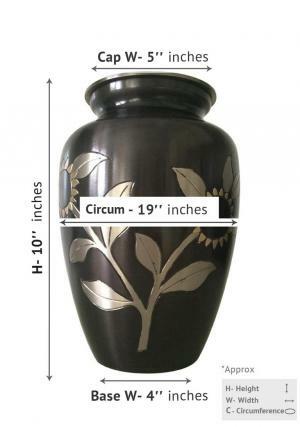 Large adult urns for memorial ashes weigh upto 2.05 Kgs and Height:10"‚ Diameter:19"‚ Base-Width:4"‚ Cap Width:5" to hold upto 200 cubic inches. 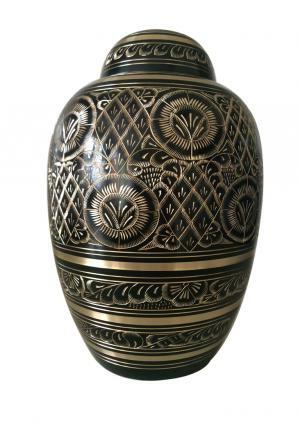 Worth buying this handmade large urn for funeral ashes as it gives your interior an elegant look with lasting memories. 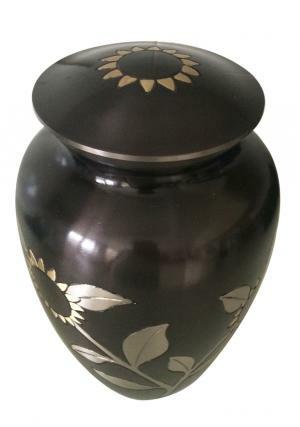 Beautiful product and packaging was excellent. 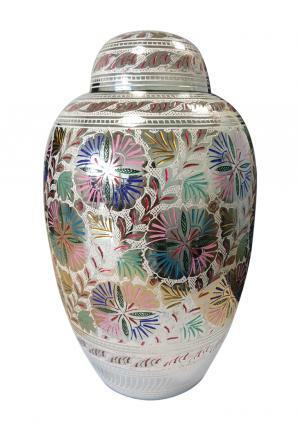 Good service and as promised with quality? 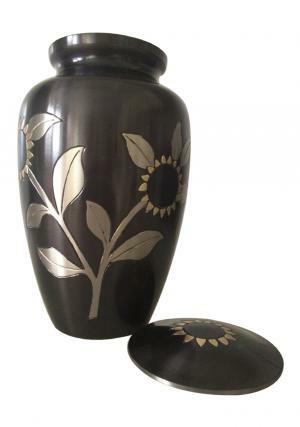 Happy with the lovely urn but delay in shipping.